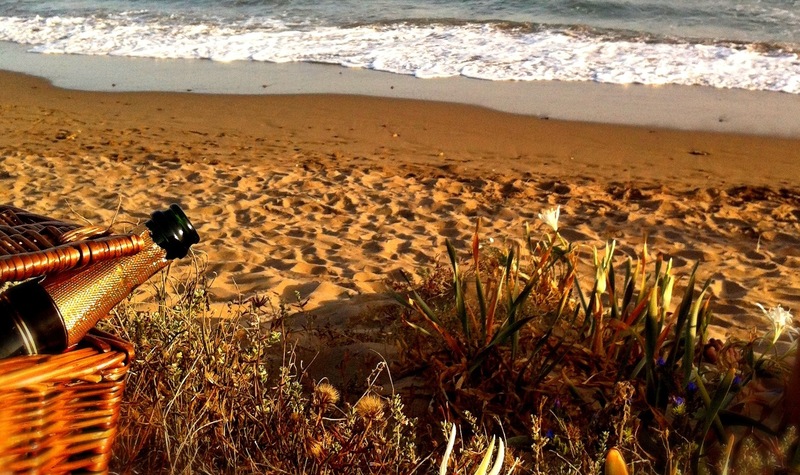 Despite the crowds, traffic and heat, I still enjoy summer on the coast. Towards the end of each day, as the beaches begin to empty, and the people head back to their holiday villas and hotels to get ready for dinner, we head down to the sea. This is a great time of the day, the temperature and lighting are perfect – and armed with some wine and snacks I think it’s one of the best ways to enjoy a summer’s evening. 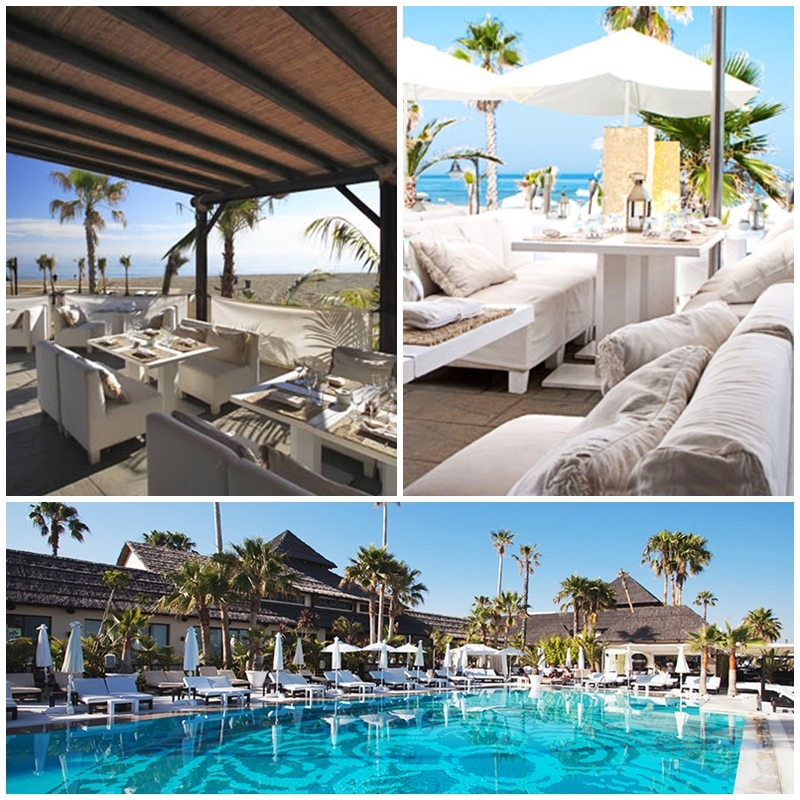 Beach Club Estrella del Mar is a few minutes away from our place up in the hills, so it’s a real favourite. 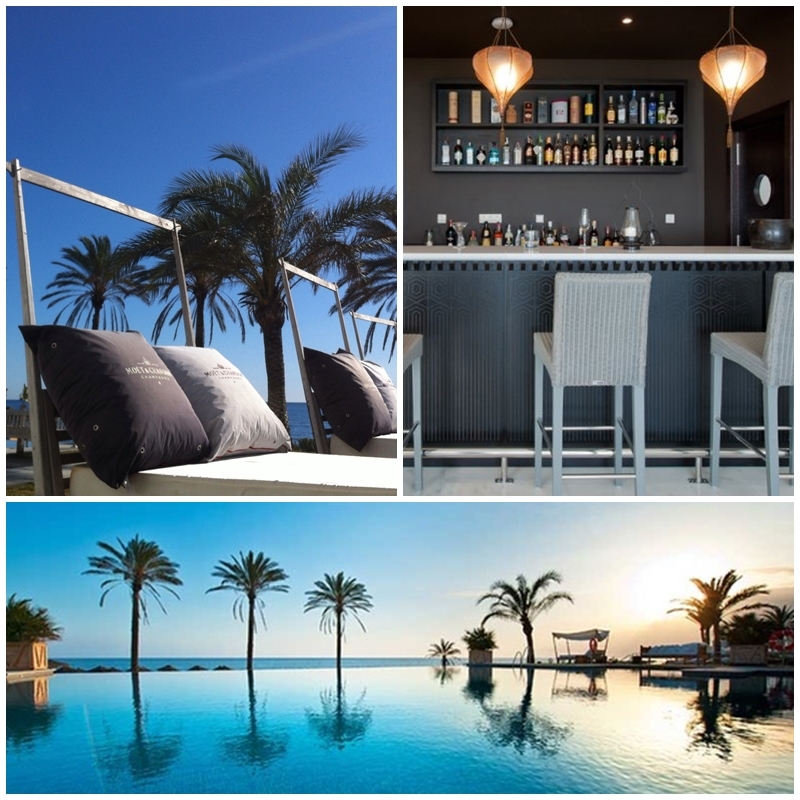 It is a full service beach club with spa, indoor and outdoor pools, restaurant and bar. There is a large dining room, offering Sunday Brunch buffet, and an outside covered terrace, garden and pool terrace. The team are really friendly and it’s a great place for a meal or just a cold beer. Southbeach Marbella is a little further west, towards Marbella. 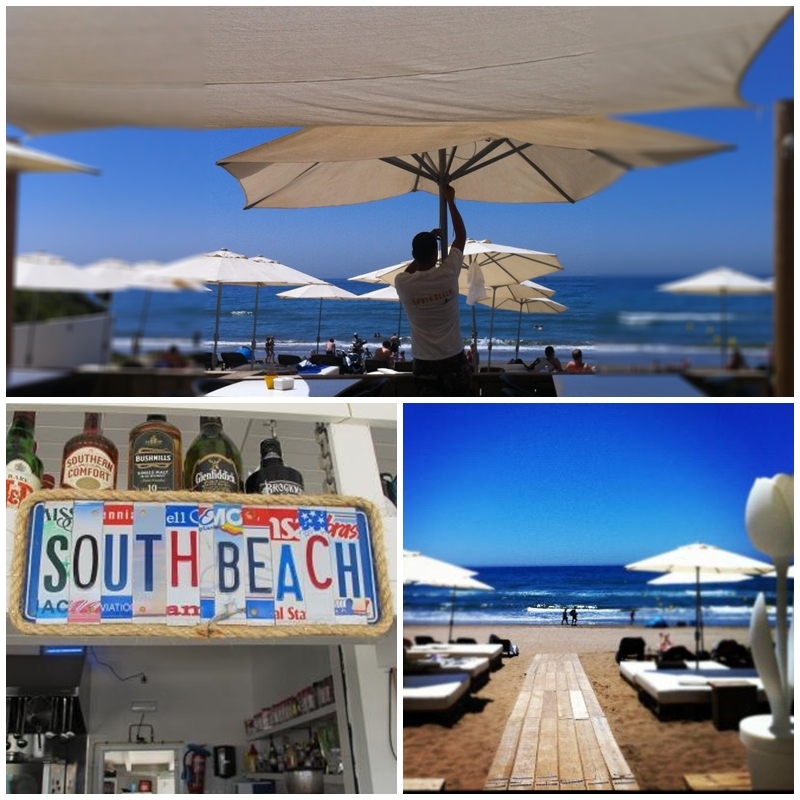 It’s a small chiringuito beach bar restaurant with an informal and friendly atmosphere. Since discovering it last year we’ve spent plenty of sunny days chilling out here. It is uncomplicated, unfussy and relaxed. In Marbella my favourite is MC Beach – it’s only open for a short season, so make the most of it. I love the white and pale blue styling and the dappled light as it passes through the wicker terrace roof – it is fair to say that it’s pricey but fun for a treat. 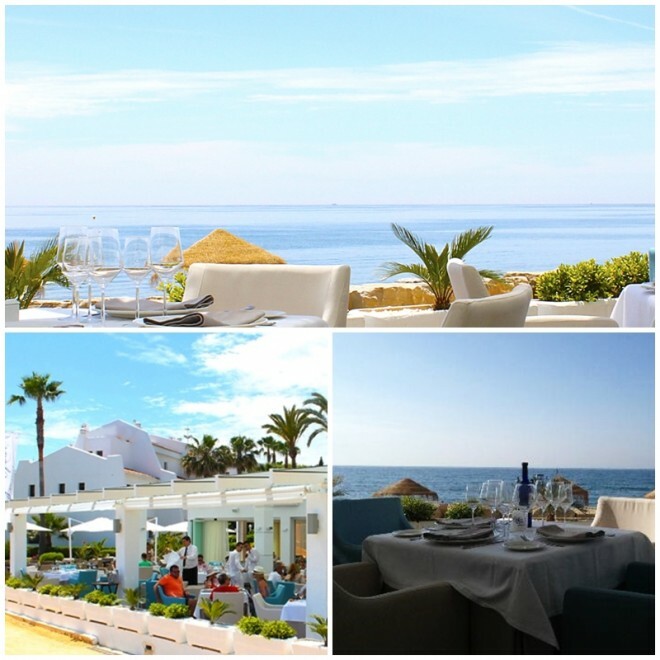 At Coral Beach, west of Marbella the new Café del Mar has transformed this former mom and papa beach side restaurant. It can get a bit sticky under the glass canopy so eat later once the sun has gone down. 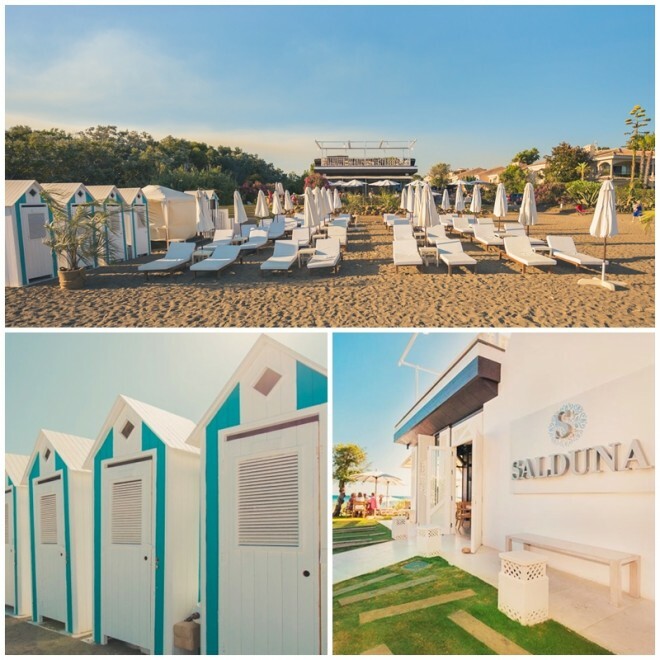 Salduna, from the company that owns Pura Beach, is a new elegant chiringuito off the New Golden Mile, heading west towards Estepona. There is a turfed terrace, indoor restaurant and covered roof terrace. It’s a modern and elegant twist on the classic Spanish beach bar. 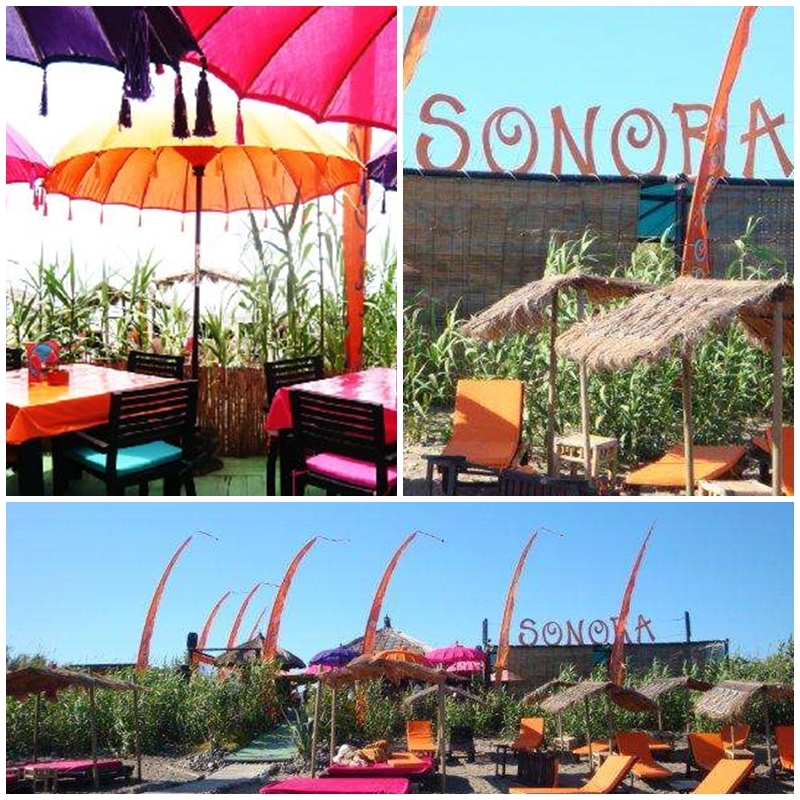 For something with a more of a bohemian feel, try Sonora Beach, tucked away east of Estepona. Its trade mark colourful Asian parasols and brightly coloured styling gives it a boho feel. Pura Beach, at Laguna Village, beside the Kempinski Hotel is an upscale beach club – it does occasionally attract some over-the-top types during the summer, but typically the ambiance is elegant and stylish. 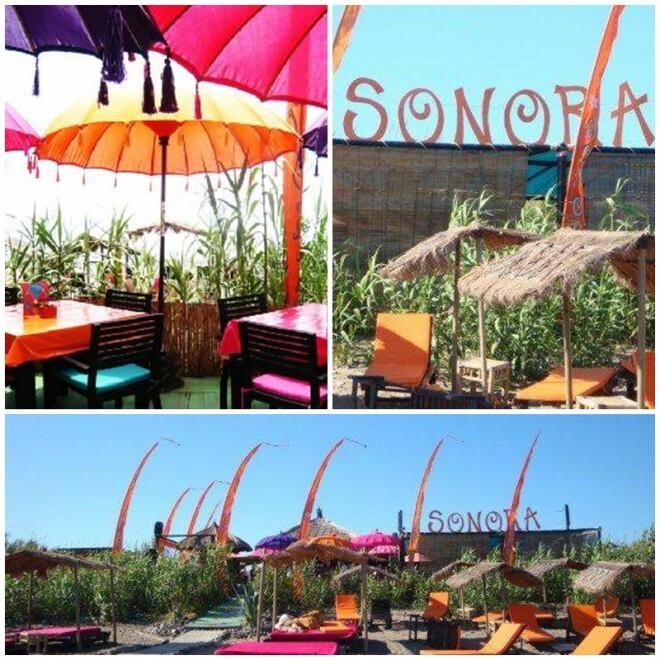 However, my real favourite is a tiny Spanish beach bar, near El Rosario, that we have been going to for years. 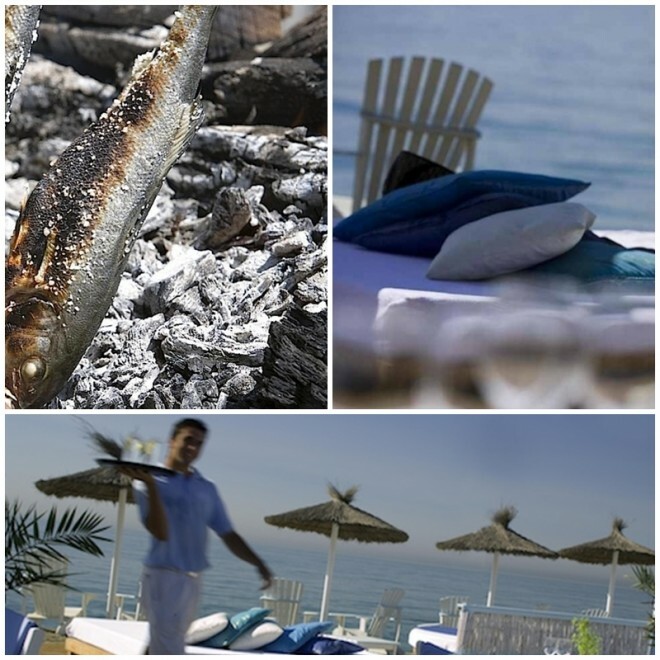 Plastic furniture, shabby decor and no style but the best sunday paella – it’s my secret place! Where’s your favourite?